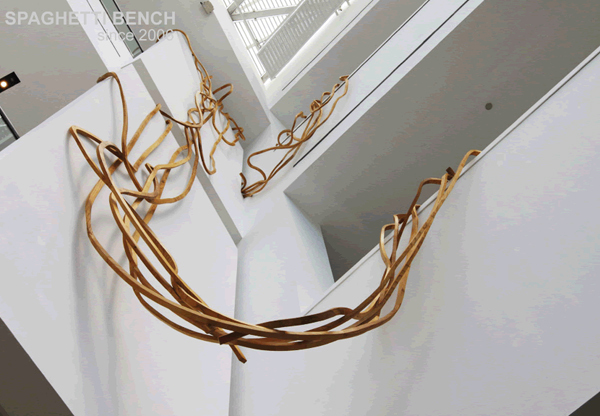 The Spaghetti bench was designed by French-Argentine artist and designer Pablo Reinoso and created by Carpenters Workshop Gallery. 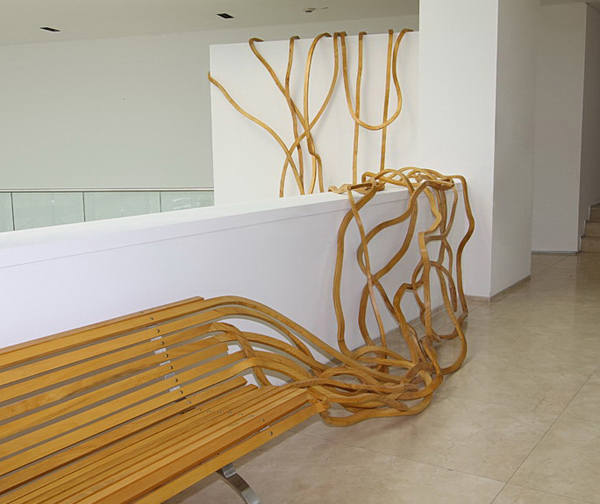 Pablo Reinoso took public benches of anonymous design as a starting point for his reflection. Named Spaghetti, they start proliferating and finding their place in the most diverse spaces. 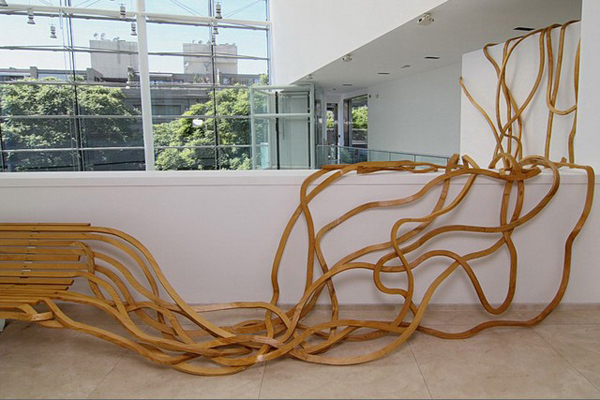 The object is freed of its function to goes back to its path of wood, tree, vegetal. 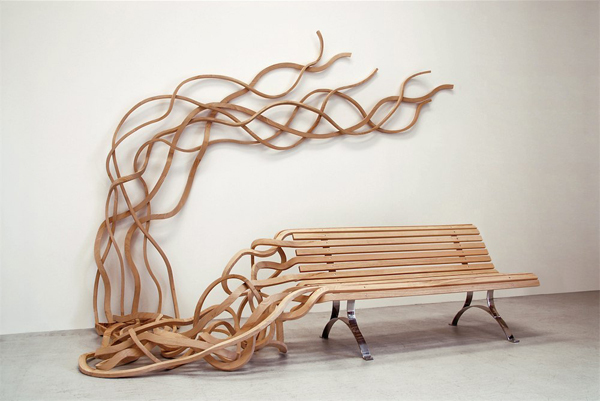 Reinoso stages benches that, having fulfilled their role as furniture, become once again branches that can grow and climb. They are no longer at the service of a function but retrieve their life and their condition. 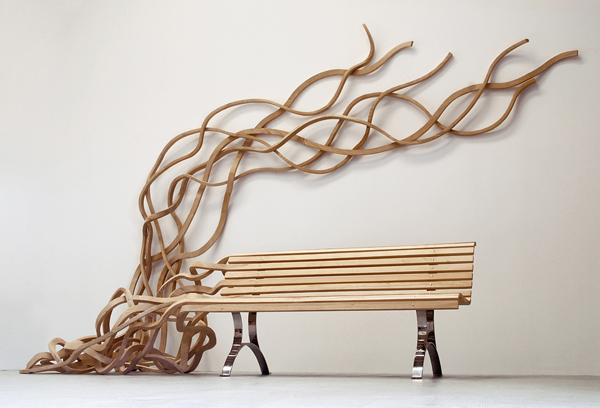 It is as if the desire of wood boards is revealed; that they indulge themselves and have fun while doing what is expected of them — being a bench. Thus they may at last express themselves freely by marrying architecture, roaming through places, exploring gaps, and giving free rein to their whims.